1) Unscrew the one end of the bracelet and thread on a stopper bead. 2) Thread on a metal spacer bead, a glass bead, another metal spacer bead and another glass bead. 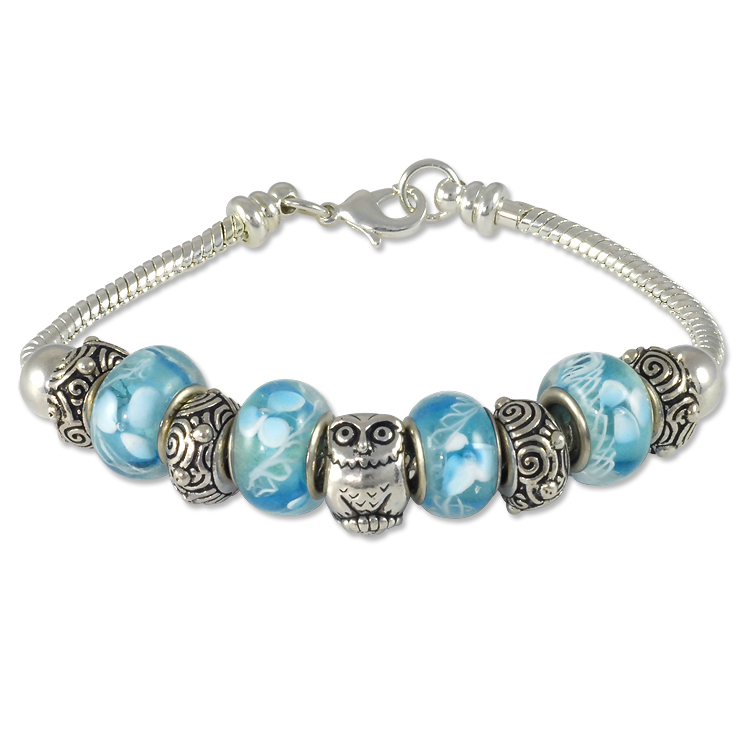 Now thread on the owl bead. 3) Thread on a glass bead, a metal spacer bead, the last glass bead and the last metal spacer bead. Thread on the last stopper bead. Screw the bracelet end back on to finish the bracelet. Q: I need a 9 inch snake chain cheap bracelet for using mix &mingle large hole beads is this a product you have even a bangle bracelet with screw lock ends? 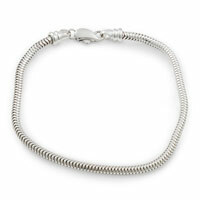 A: We would suggest you create the 9 inch bracelet using our bulk chain. We do not currently carry a bracelet longer than 8 inch.